I am the Principal Man for Foreign Affairs, of the government of Newe Sogobia and have the legitimate authority to speak on all matters subject to tribal law and custom. The exterior boundaries of Newe Sogobia are defined by the 1863 Treaty of Ruby Valley which include Yucca Mountain. I am a board member of the Native Community Action Council, a "party with standing" in the licensing proceedings that contends, the DOE cannot prove ownership of Yucca Mountain. This significant encumbrance precludes licensing by the NRC. I am also a board member of Poohabah, a Western Shoshone religious institution situated along the Amargosa River at Tecopa as it turns toward Timbisha at Furnace Creek. Newe spiritual practices, an ongoing living lifeway of Poohabah, are impacted and further threatened by the proposed Yucca Mountain project. We receive no project funding for our participation. The government of Newe Sogobia does not consent to the inclusion of any part of our treaty defined property into the boundaries or jurisdiction of the United States or any state or territory. The Newe are a spiritual people that combine religious belief and government and as such, the government of Newe Sogobia is the embodiment of the Western Shoshone land and people. Our ethnic identity is Newe Sogobia, literally translated, "the Peoples Mother Earth." We informed the US Department of the Interior that Newe Sogobia is not for sale and that Yucca Mountain is not BLM land. 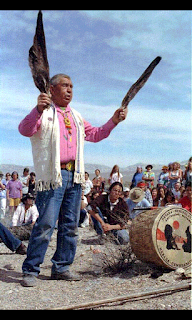 We informed the EPA that the environmental radiation protection standards for Yucca Mountain are not protective of Newe Sogobia and that our exposure would be significantly higher because of lifestyle differences, our living lifeways that include longstanding religious practices, tribal laws, custom and our traditions. 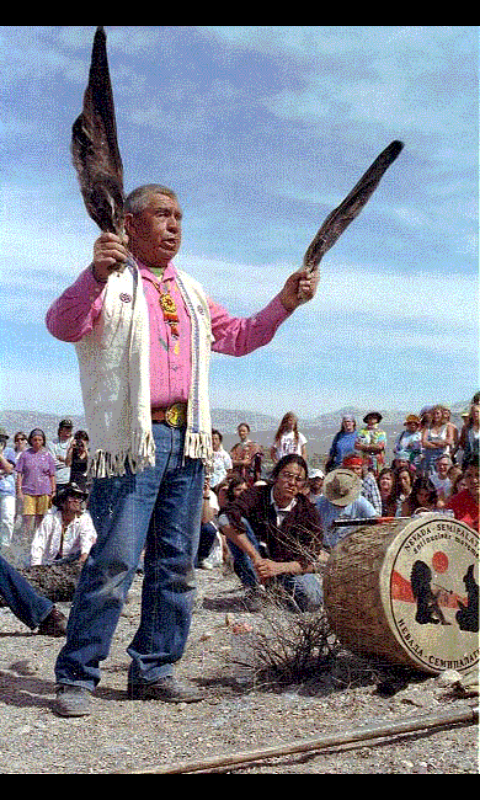 We informed the DOE through tribal Spiritual Leader Corbin Harney that our land and people are being destroyed by the testing of weapons of mass destruction and the development of Yucca Mountain as a high-level nuclear waste repository. Newe Sogobia cannot endure an increased burden of risk from any source because of our past exposure to fallout from nuclear weapons testing. Our understanding is borne out by the National Academy of Sciences Biological Effects of Ionizing Radiation 2005 report that states, "there is no minimum threshold for radiation carcinogenesis." Currently, the United States NRC is the agency to assume responsibility for the policies and practices and the resultant impact to Newe Sogobia--OUR very existence as a people. The central issue that impact the Newe result from the destruction of our property that impair our treaty reserved rights to use our lands and life giving water. Nothing in the Treaty of Ruby Valley ever contemplated the destruction of Newe Sogobia by American nationals through their agency the US government. I, and many Newe have expressed alarm at the systematic policies and practices that place a disproportionate burden of risk upon Newe practicing traditional religious lifeways that require water for praying, cleansing and healing, with no response. Ethnographic studies conducted by the DOE failed to identify the Newe as we actually exist, as one people governed by our own traditional form of tribal government. Instead, the DOE substitutes many tribal governments created by the US and invited organizations for the purposes of site characterization at Yucca Mountain. These groups are known as the Consolidated Group of Tribes. The traditional Western Shoshone government of Newe Sogobia was not invited to participate. 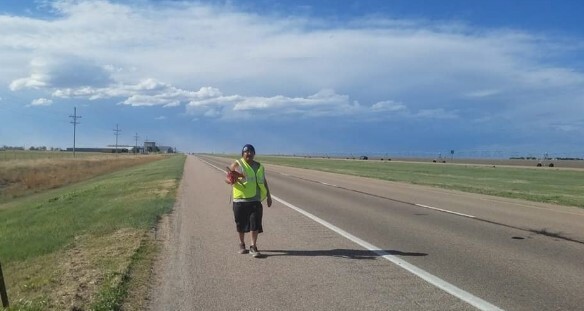 From our perspective the processes employed by the DOE is environmental racism…designed to systematically dismantle the living lifeways of the Western Shoshone people in relation to our land. The cultural resource study protocol of "cultural triage" justified for use in the Yucca Mountain site characterization process is an attack. Triage is used in response to natural disaster or declared war. There is no war, or natural disaster that might employ the use of triage. What was created and used by the DOE is an immoral act forced upon the ethnic Western Shoshone people for the benefit of the US and the profit of the nuclear industry. This meets the minimum threshold of genocide under the Proxmire Act, the Genocide Convention Implementation Act of 1987.